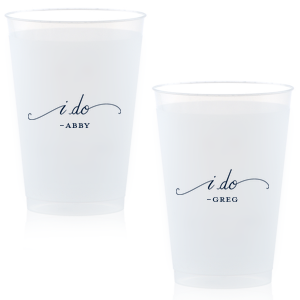 Pass your signature drinks in style with custom engagement party 12 oz frosted cups! 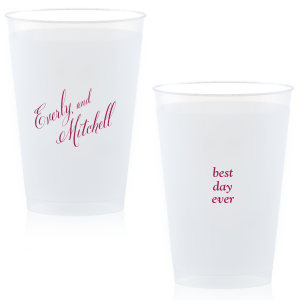 Endlessly personalizable these plastic cups will be a fun conversation starter at the engagement party. 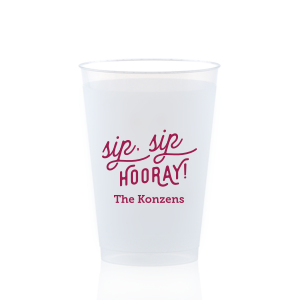 Reusable, they will also be a fun party favor guests can take home to remember your special event. 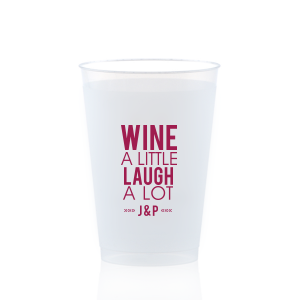 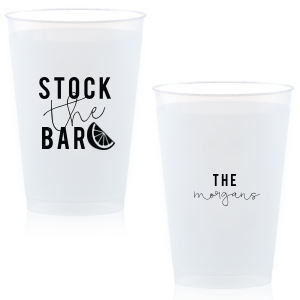 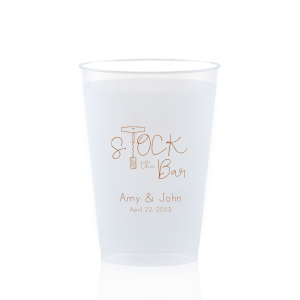 Upgrade your bar hospitality with customized engagement party 12 oz frosted cups. 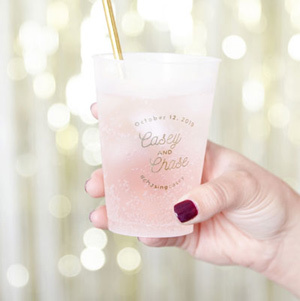 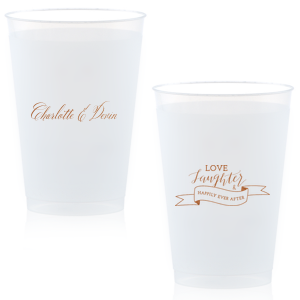 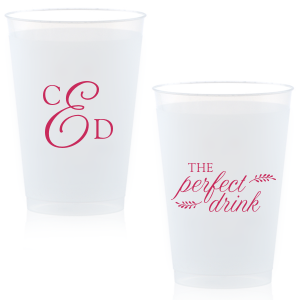 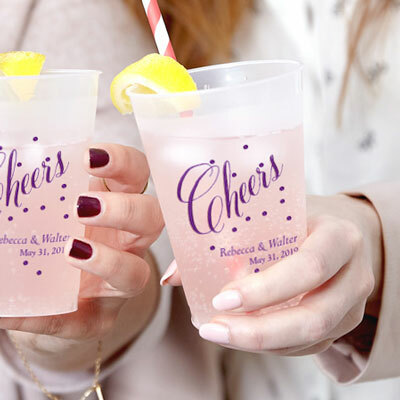 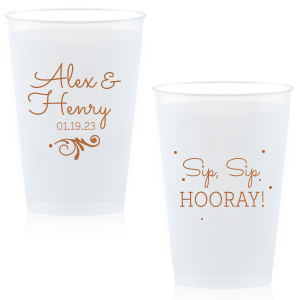 Your signature cocktails will look great in personalized engagement party 12 oz frosted cups. 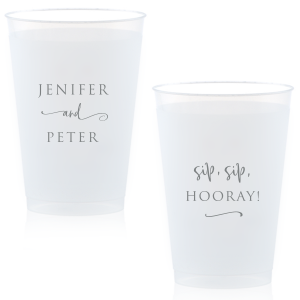 Use the customized frosted plastic cups at the party and then send them home with your guests as a fun and functional party favor. 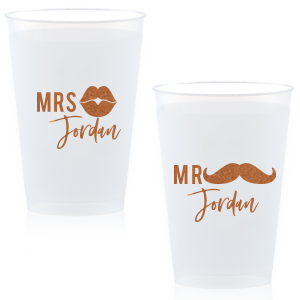 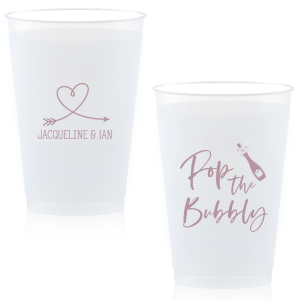 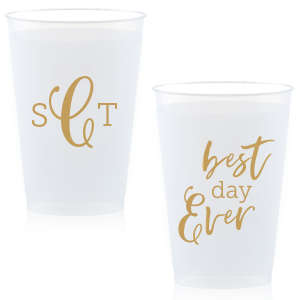 Celebrate the soon-to-be married couple in the months to come with these reusable, BPA free and shatter-proof custom designed 12 oz frostflex cups. 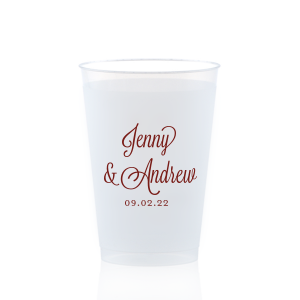 Browse our curated galleries of design ideas for inspiration, or upload your own design for ultimate personalization. 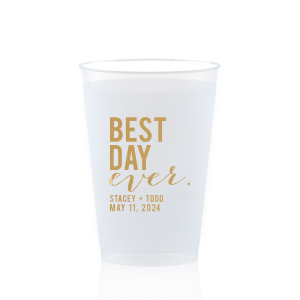 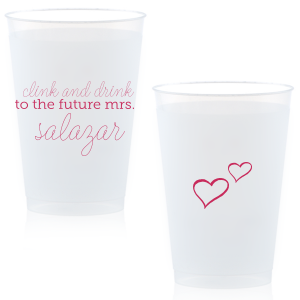 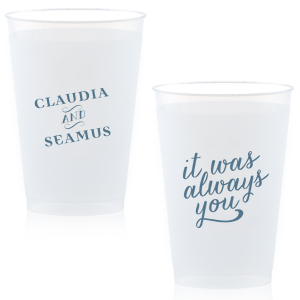 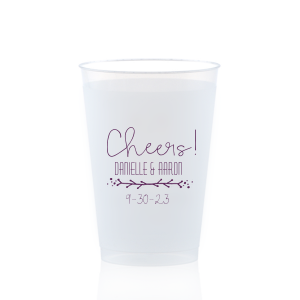 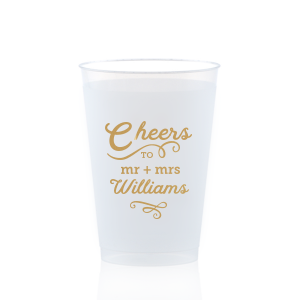 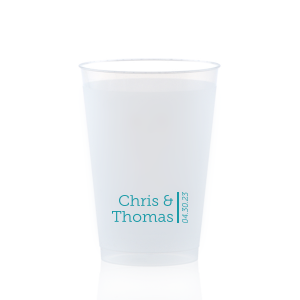 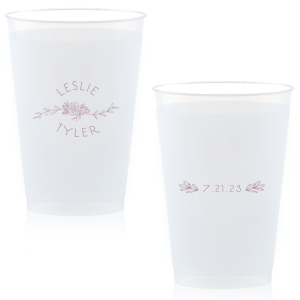 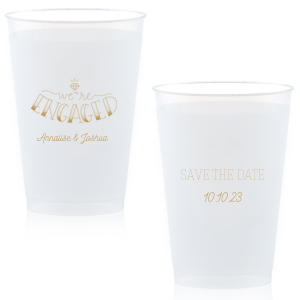 Either way, your custom designed engagement party 12 oz frosted plastic cups will be a big hit!